Date of Construction 1921 AD. 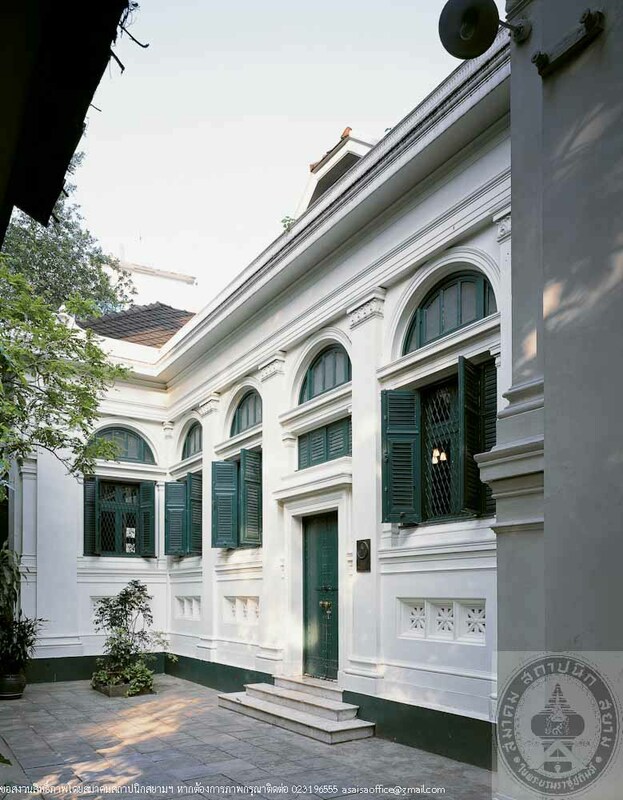 In 1869, a group of missionaries’ wives’ who lived in Bangkok gathered for meeting and exchanging books for reading. 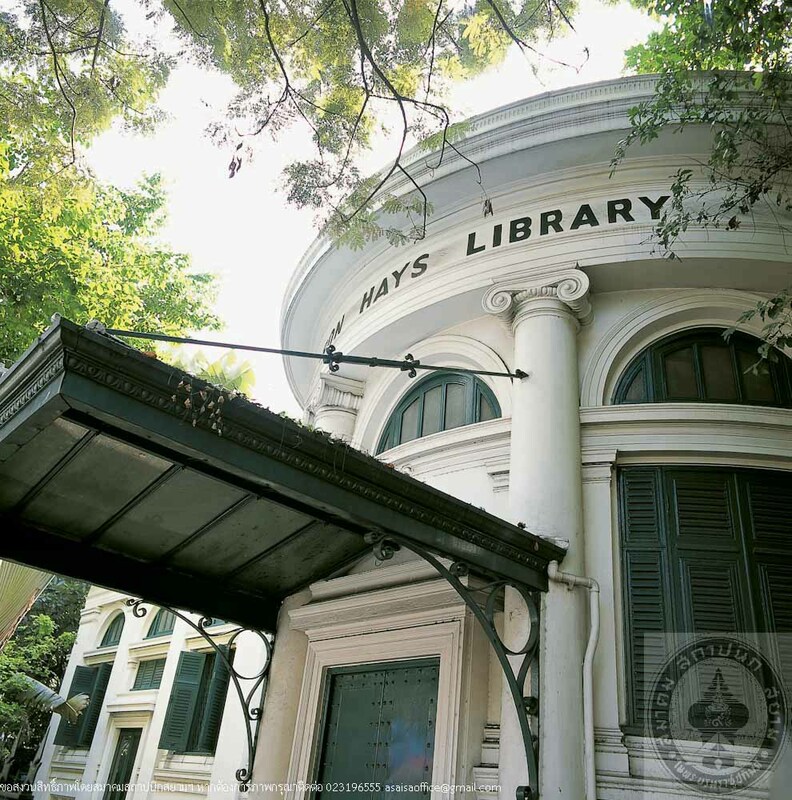 The group was called “The Bangkok Ladies Bazaar Association” who later set up a small library, although without a permanent building. Jennie Neilson, a Danish who married Dr. T Hayward Hays, was a member and committee who worked for the library for 25 years until she passed away in 1920. 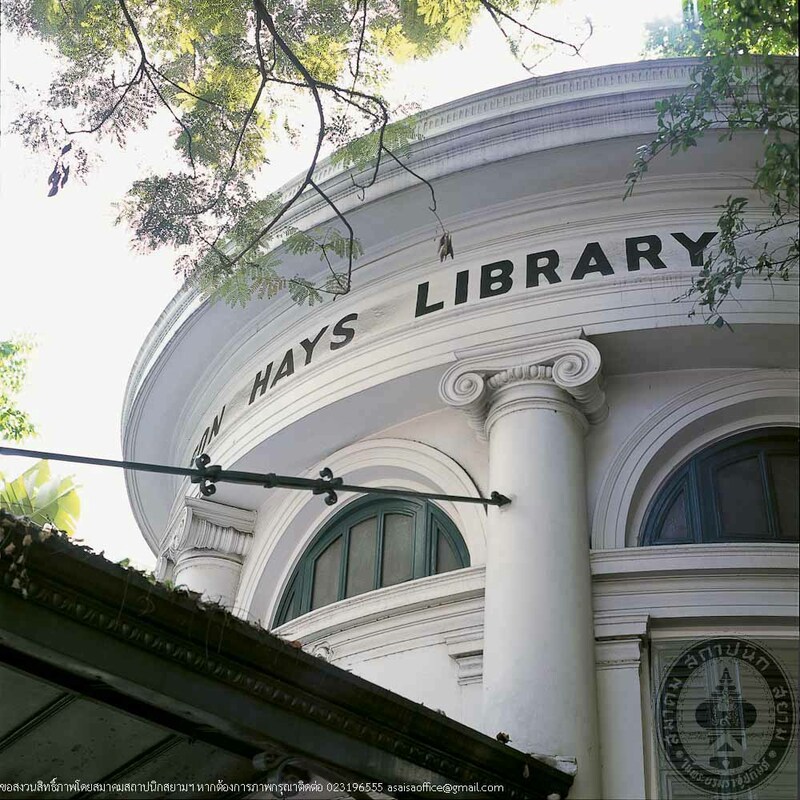 A year later, Dr.Hays, as a memorial for his beloved wife, bought a lanf on Surawong road and had a library hall built in neoclassic style designed by Italian architects, Mr. Mario Tamagno and Mr. Giovanni Ferrero. The building is symmetrically planned with a dome circular entrance hall in the middle, leading to an H-shaped reading hall. It is so integrated, well-designed and elegant that the architect, Mr. Tamagno, himself related that it was his favorite work, which he attended to its very detail. 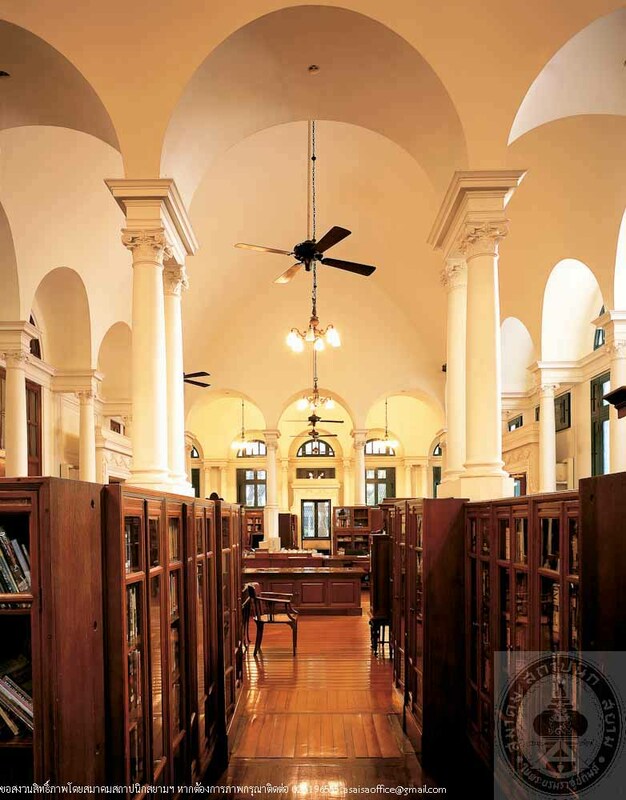 The building has always served as library since its completion; nevertheless there have been some alterations i.e. 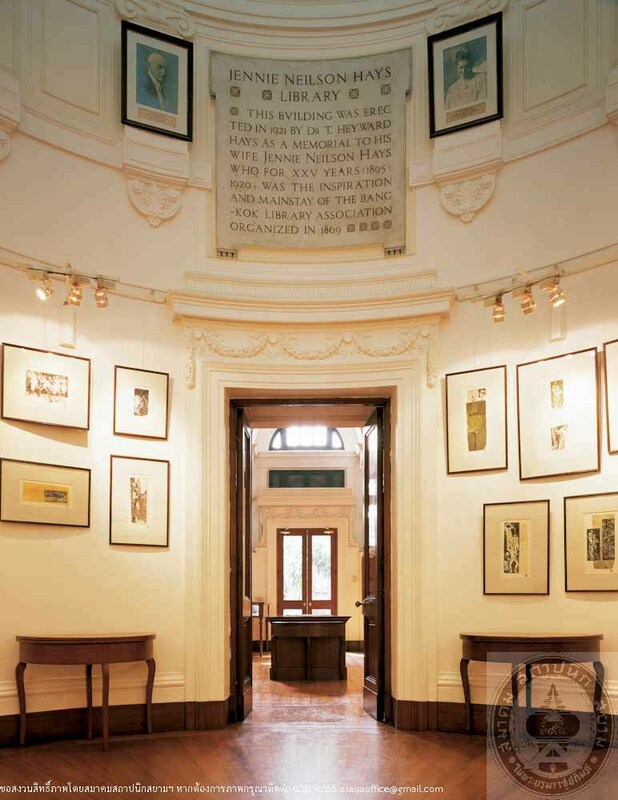 the entrance hall has been converted to an art gallery.